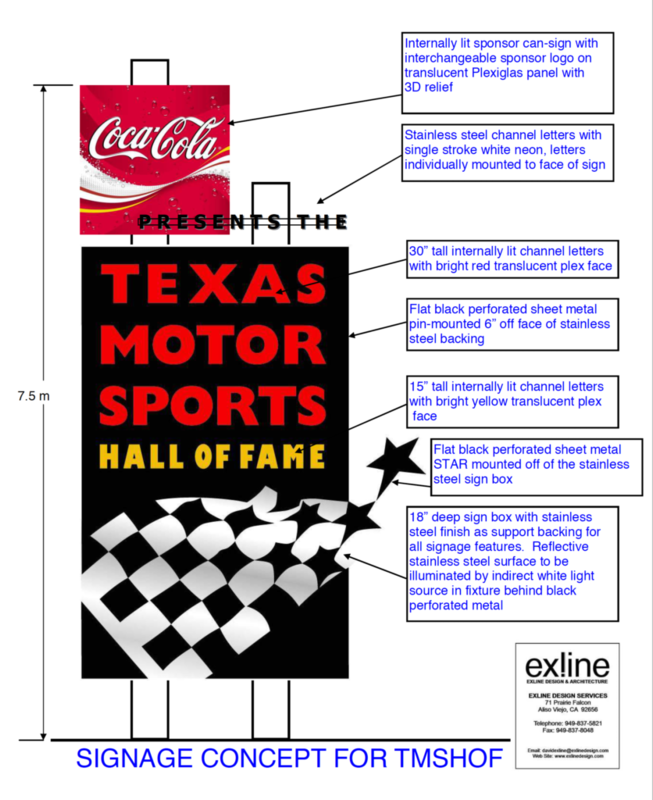 Motor sports enthusiasts can tell you that many well-known auto racing personalities started their careers in the Lone Star State, including such racing champions as A.J. Foyt, Johnny Rutherford, Lee Shepherd, and Terry Labonte. 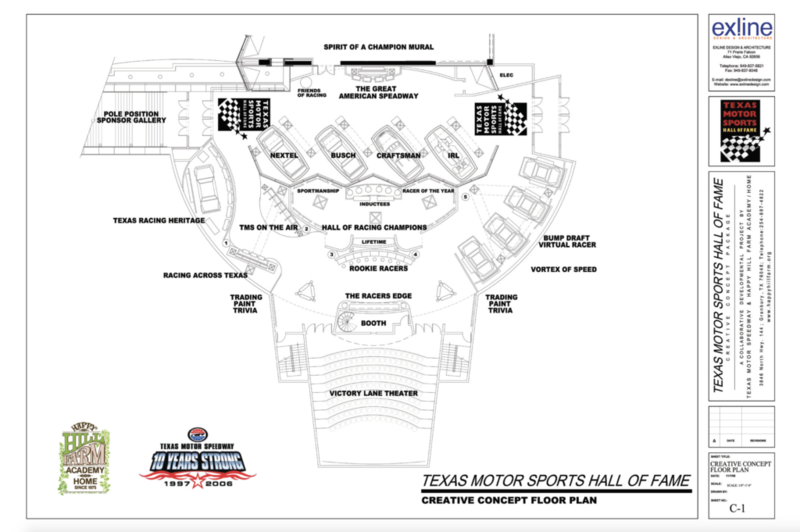 These legends of the track are honored within EDA’s creative concept for the hallowed halls of Texas Motorsports Hall of Fame. 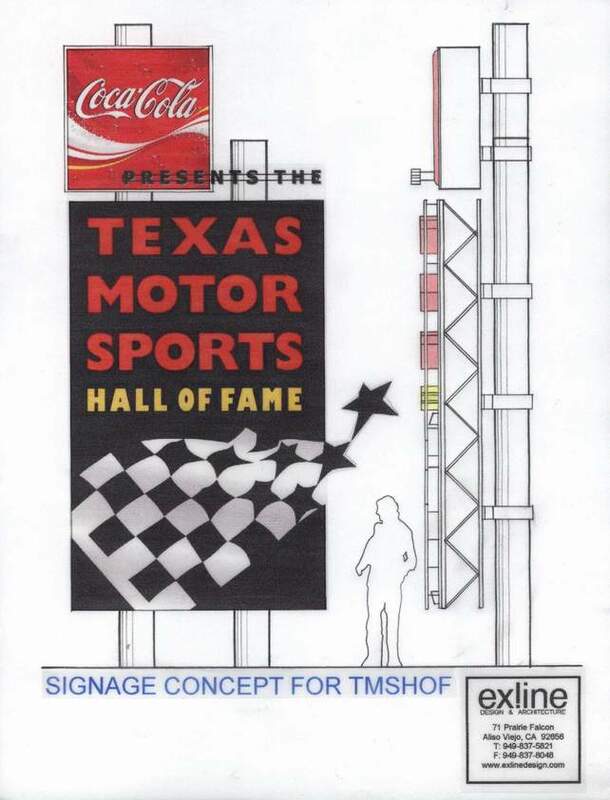 The Hall of Fame was conceived to be retro-fitted within an existing fourteen story all-glass tower that is situated right by the track and attached to the speedways grandstand. 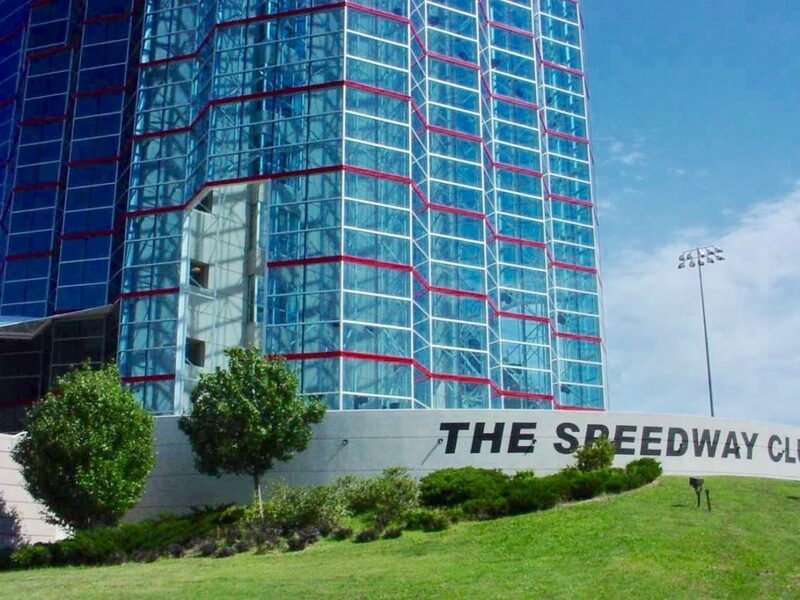 The ground floor offered more than twenty interactive exhibits including experiences scubas “Bump Draft Virtual Racing Simulator”, The Trading Paint Trivia Game”, and for kids, "The Rookie Racers Interactive Play Area”. 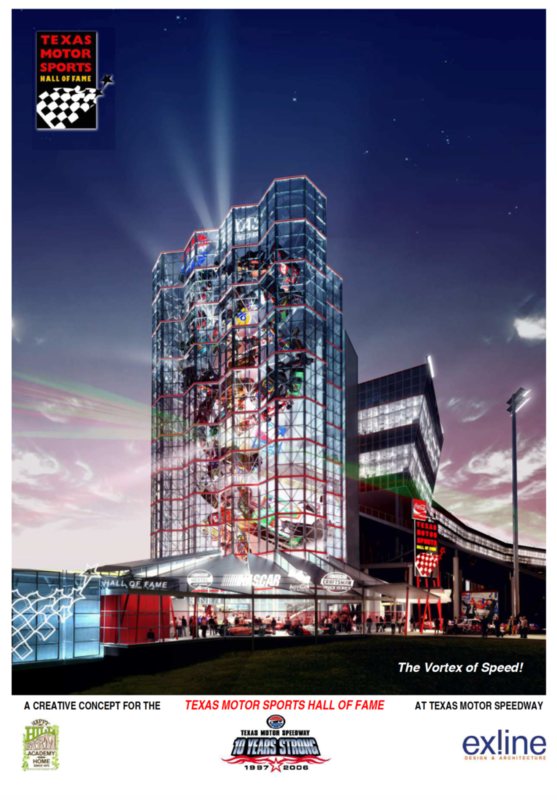 The signature exhibit for the facility was an enormous kinetic sculpture hanging within the fourteen story glass tower called, “The TMS Vortex of Speed”! Unlike anything seen within spectator sports, this dramatic installation is the signature exhibit of the TMSHOF experience. 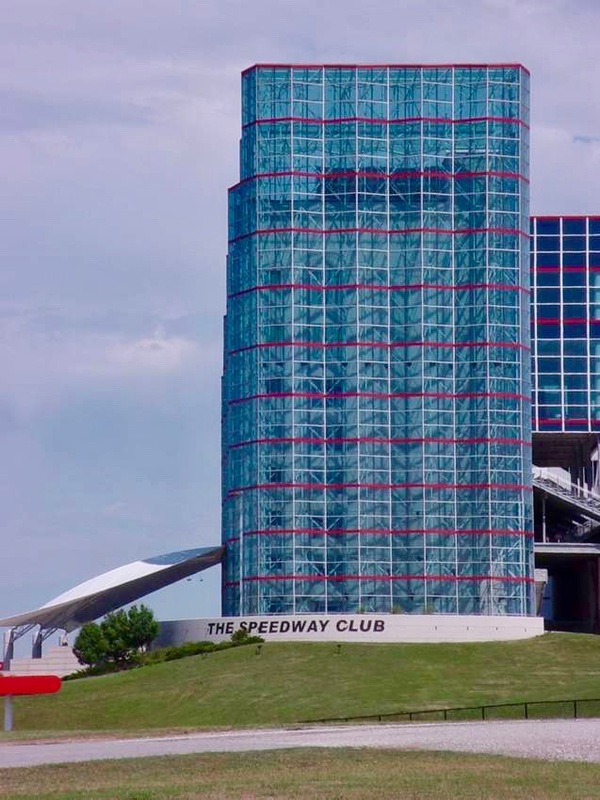 Literally filling the soaring internal volume of the existing glass tower is what looks like a giant “tornado” comprised of real racing machines. 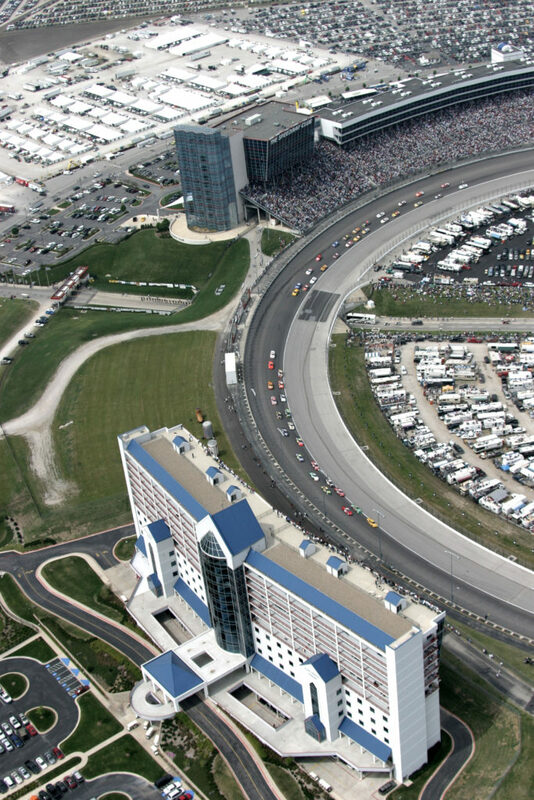 Full-scale cars representing each of the primary racing franchises all appear to be swirling about a gigantic vortex of speed over everyone’s heads! Creative Concept Development: Mr. David Exline, AIA, NCARB, Exline Design & Architecture; Project Producer: Mr. Ed Shipman, Happy Hill Farm Academy; Project Coordinator: Ms. Stacy Gilbert Smith; Client: Mr. Eddie Gossage, Texas Motor Speedway, Inc.
An aerial view of the existing facility.